Is Wet Glaze 2.0 the exact same as the original? No, while the base formula is the same it has been reformulated to achieve more wetness, gloss, and depth. Why did you change from the original Danase Wet Glaze? Originally Bob of Danase had been working on a new version of Danase Wet Glaze but never finished, so we acquired the base formula from Bob and began the process of finishing it. While doing this we knew that Danase Wet Glaze (DWG) had a strong following and was the leader among glazes in the industry. We also know that other glazes available today have taken a step forward with improvements so we felt it was best to continue with the improved version to stay ahead of the game and put our best foot forward to distinguish Wet Glaze 2.0 among other glazes. Can you apply Wet Glaze 2.0 the same? Yes! It can be applied by hand or machine the same as the original. The new version is slightly thicker so I recommend 2 nickel size drops on your machine pad and 2 dime size drops on your hand applicator. Once the product begins to spread it will keep spreading and you can actually cover more area than the original. Wet glaze can be layered right away and gets better with multiple applications! Removal is just as easy! Wet Glaze can be applied and instantly removed or you can do the entire vehicle and then remove. During testing we applied Wet Glaze and let it sit for 8 hours before removal and it came off just as easy as it did during instant removal. Wet Glaze is very easy to apply and remove! Anyone can use this glaze with great results. How is the look compared to the original? The original brightened paint while leaving a wet glossy look, the improved version slightly darkens paint and has increased wetness, gloss, and depth. The amount of depth and wetness will blow you away compared to the original! Is it the same size bottle? Yes, the 16oz bottles are available and 32oz and gallon sizes may be available in the future. Is it still purple with a grape scent? The color is still purple although slightly darker. The scent has changed to a coconut scent. This goes back to distinguishing Wet glaze among other glazes. What is a glaze used for? A glaze such as Wet Glaze 2.0 is commonly used for appearance purposes. 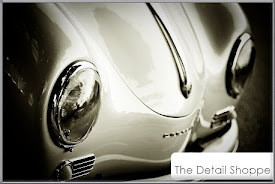 While most glazes do fill or hide swirls and other minor imperfections in paint the main job of a glaze is to boost the gloss and give a quick just detailed look, more so than a quick detailer or spray wax. 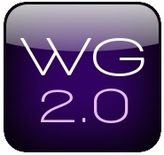 When used after all imperfections are removed Wet Glaze 2.0 will add additional gloss. When used as a quick gloss booster it will add gloss and mask minor imperfections. Will Wet Glaze 2.0 hide major swirls? Wet Glaze 2.0 will hide or *fill* minor imperfections by hand. Using a soft foam pad and dual action polisher will hide more swirls and blemishes due to the high speed random orbital action of the machine which your hand cannot duplicate. We do not recommend hiding swirls but in cases where paint is thin and the use of abrasive products are not an option Wet Glaze 2.0 can help give a polished wet look without being abrasive and removing paint. Should I apply by hand or machine? Applying by hand is fine and when doing this we recommend at least 2 applications to get the most out of the product. Application by machine will give better results with just one application and we recommend a soft finishing/waxing pad at speed setting 3 - 4 via dual action polisher. Wet Glaze 2.0 can be applied via rotary polisher, for this we recommend a low speed of 1000 rpm's or lower. In what order should I apply Wet Glaze 2.0? To get the most out of Wet Glaze 2.0 you should apply after all polishing has been done and before any wax or sealant is applied. Applying a wax or sealant on top of Wet Glaze 2.0 will *lock it in* so it will last as long as the protection layer you have on top of it. Wet Glaze 2.0 is very similar to most sealants available today only it does not have the same protective abilities as a dedicated sealant. While Wet Glaze does offer minor protection it is not recommended as a final top layer of protection, just looks when applied as a top coat. Wet Glaze 2.0 plays very well with all acrylic sealants and even carnauba waxes and other sealants. Wet Glaze 2.0 can be applied in any order you wish. Wet Glaze can be layered in any combination but we do recommend letting your sealant or wax cure according to the manufactures recommendation before applying Wet Glaze 2.0 on top. Testing showed that as a topper Wet Glaze will last a solid month with weekly washings. Testing was done in mild winter conditions (snow and a few warm days) and results may vary by location and weather condition. How is Wet Glaze 2.0 different than oil based and other Glazes? Wet Glaze 2.0 is much different than the more traditional oil based glazes mainly due to the polymers used plus the look is different. Most oil based glazes offer instant shine and filling but are short lived and cannot be layered or play nice with sealants in the same ways that Wet Glaze 2.0 can. Like oil based glazes Wet Glaze 2.0 can be used as a topper for those car show days! We do believe that oil based glazes have a place in the detailing industry and we offer them on our main website. While there are other polymer glazes out there they are not the same due to the *monomers* that create the *polymer* in the product. If a person pays close enough attention to most glazes on the market today it's not hard to see the similarities in them. While formulating Wet Glaze 2.0 we knew that in order to rise above we had to start with the base of the original formula and build from there. No shortcuts, no relabels, no large manufacturing plant, just quality built from a real base formula. You will not find another glaze like it. How else can wet Glaze 2.0 be used? Wet Glaze 2.0 can also be used in a variety of different ways. During testing Wet Glaze 2.0 was mixed with liquid waxes and sealants and did not seem to affect durability while enhancing the look. Only a small amount of wet Glaze 2.0 was mixed in. Also a small amount of Wet Glaze 2.0 was mixed in with final polishes adding to the look and greatly increasing gloss and depth. This is not recommended due to the filling ability of Wet Glaze 2.0 if perfection is your goal. These are just some of the tests we did while Wet Glaze 2.0 was being developed. Wet Glaze 2.0 is also safe to use on glass surfaces.